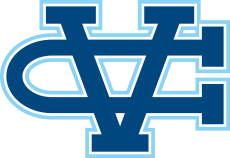 San Jose, CA - It has been a busy summer for Valley Christian alum Elena Bruckner. 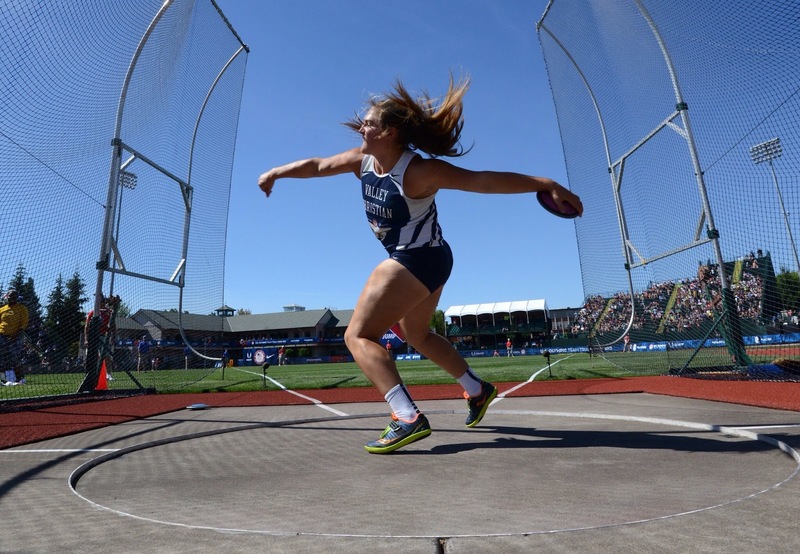 The recent graduate has been stellar in post-season competition: she won a national title, finished 16th in the U.S. Olympic Trials and represented Team USA at the IAAF U20 World Championships! 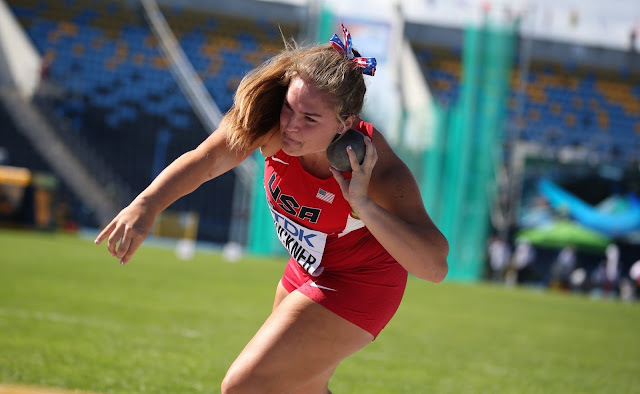 Bruckner represented Team USA at the IAAF U20 World Championships in Bydgoszcz Poland finishing seventh in both the discus and the shot put. Day 1 - Discus Qualifying Round. Bruckner needed just one throw to advance to the final hitting the automatic qualifying mark. Her throw of 176-7 (53.83m) was the #2 seed going into Finals. Day 2 - Shot Put Trials & Finals. Bruckner qualified for the finals once again hitting the automatic standard on her first throw. Coming back later that evening in the final she finished 7th with a mark of 51-7.25 (15.73m). It was a strong throw but one about three feet off her season best. "Should have been third," she said after the event on social media. "Sometimes you just have to tighten your ponytail, fix your bow, and get back out there." Day 3 - Discus Finals. Bruckner is one of the few athletes who can call a 170' throw an off day. It was another seventh place finish, this time in the discus with a mark of 170-9 (52.04m). Her mark from the qualifying round would have landed her in the medals. 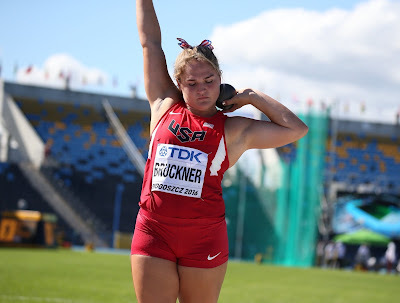 Bruckner was one of just 16 high school athletes to qualify for the U.S. Olympic Trials and the only to qualify in the throwing events. Entering the meet ranked 24th she finished 16th respectably with a mark of 179-3. 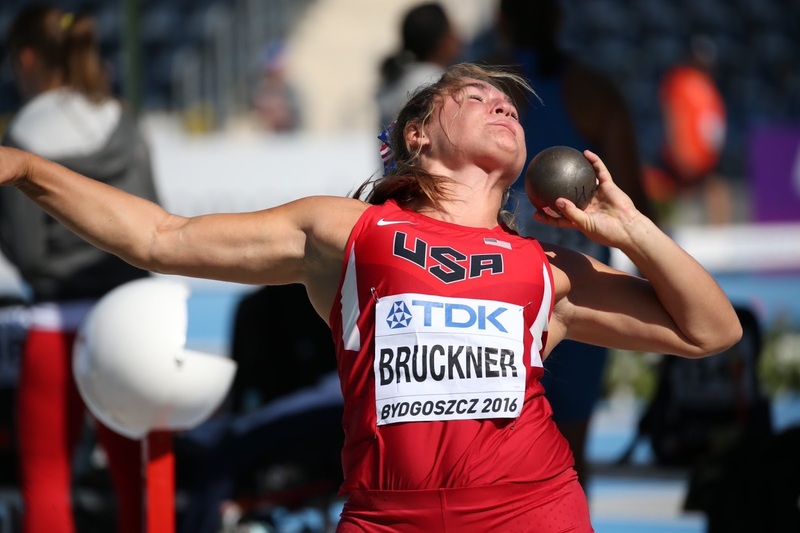 Bruckner won the national championship in the discus and finished runner-up in the shot put. The meet featured the top athletes in the nation under 20 years old with the top two places qualifying for the IAAF World Championships in Poland. Bruckner won the discus with a mark of 179-10. 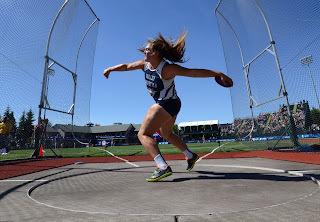 She also came back to finish second in the shot put with a mark of 51-0.75 and advances to the world championship in both the shot put and the discus.